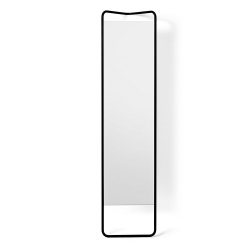 Mirrors There are 48 products. 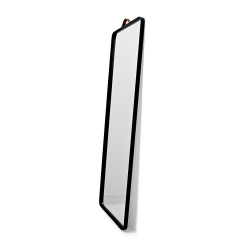 Rectangular mirror with angular structure. 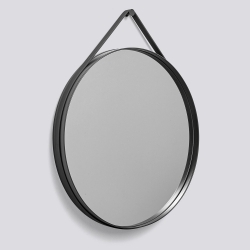 Collection of wall mirrors available in different sizes and colors. 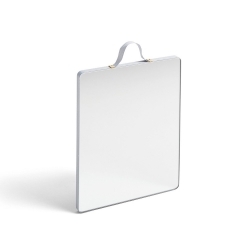 Table mirror that can be turned up, down and rotated 360 degrees. 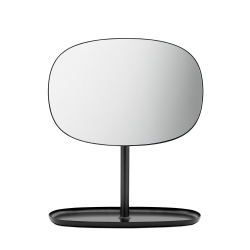 Flip is a simple table mirror that includes several functions and has a delightfully organic mode of expression. 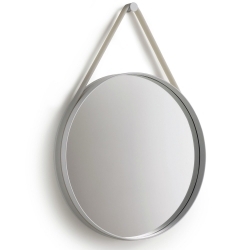 Mimic Mirror is proposed as a new version of a table mirror. 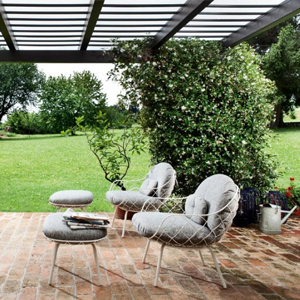 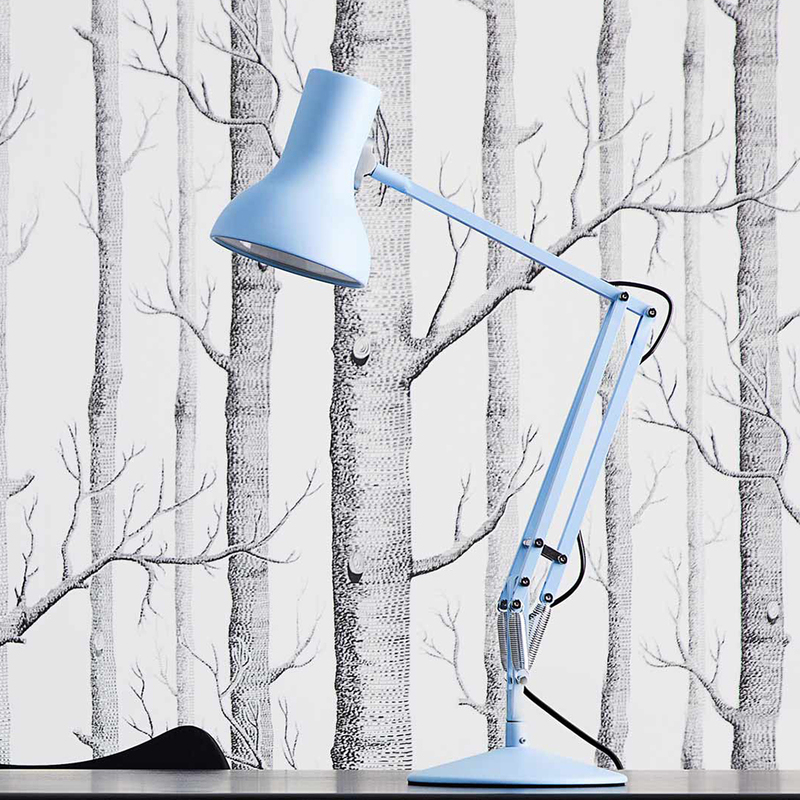 Repetition and its sculptural appearance enriches a room even when it is not in use. 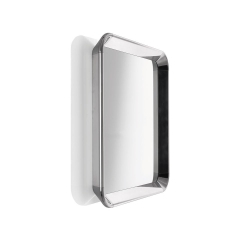 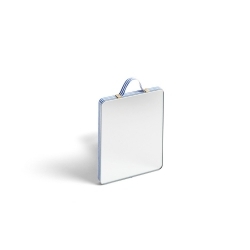 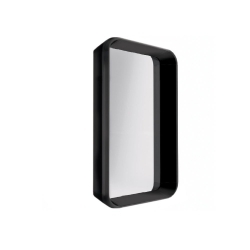 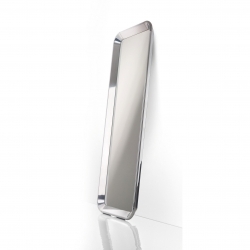 Mirror with a frame made of PMMA designed by Philippe Starck. 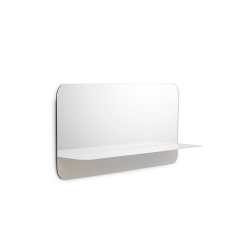 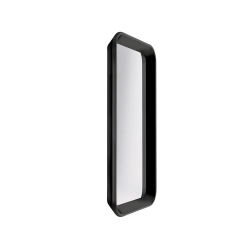 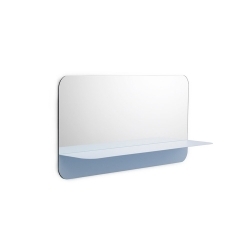 The Horizon mirror, minimal style, is available in three different colors. 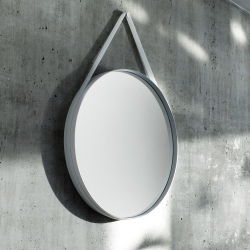 Wall mirror in the shape of a letter. 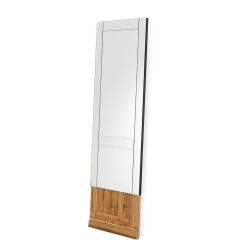 A multifunction box to collect personal items with drawers and mirror. 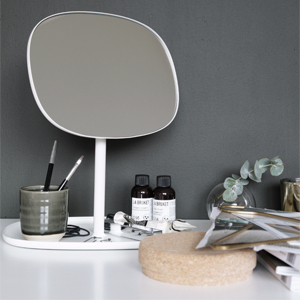 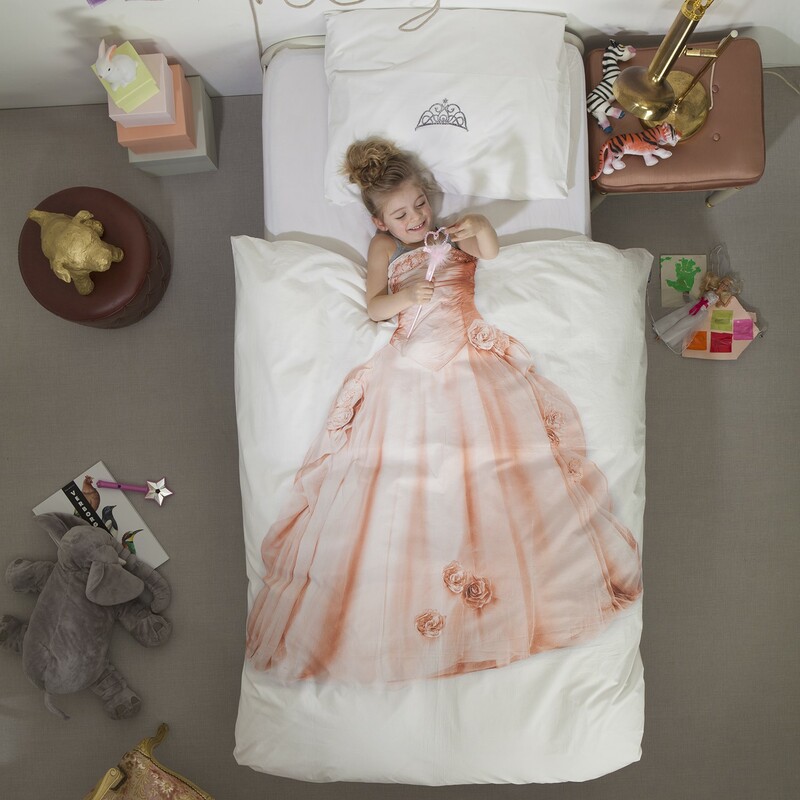 It can be used as jewelry or as a make-up station. 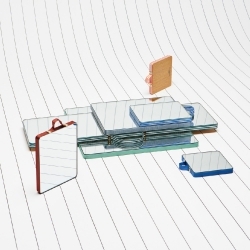 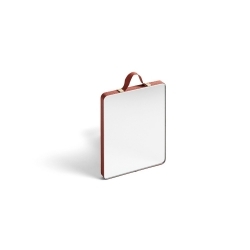 A series of mirrors in two sizes and three color versions. 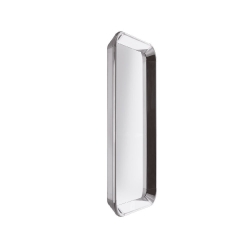 Mirrors with colored glass that challenges the function of a classic mirror and adds the dimension of decoration to an interior setting. 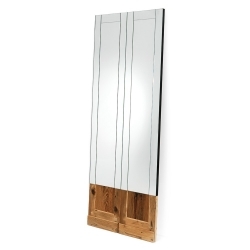 Large mirror with the bottom made up of a portion of old larch wood door. 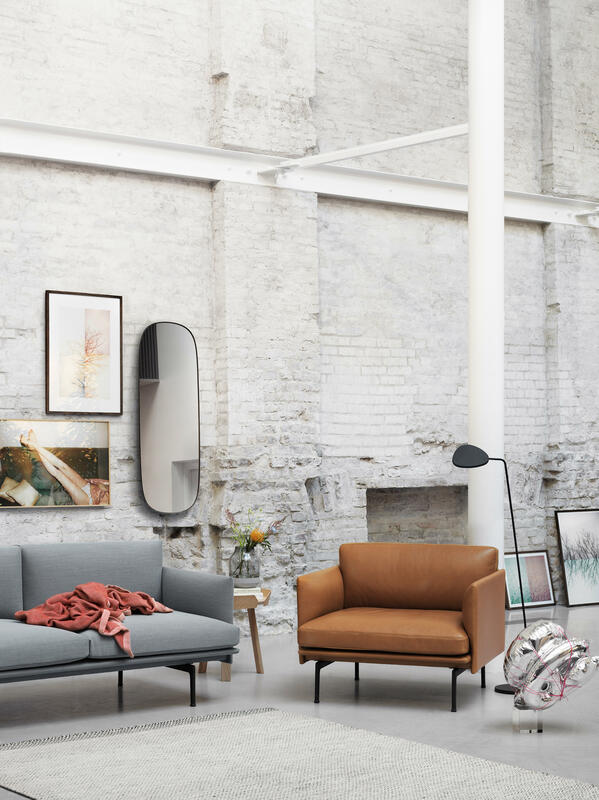 Geometric figures and reflections in sparkly colors: this is the new series of mirror by Normann. 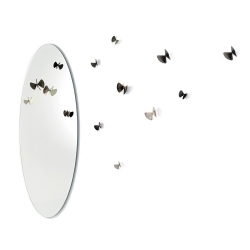 Lust is a collection of decorative, colored wall mirrors to adorn your walls with. 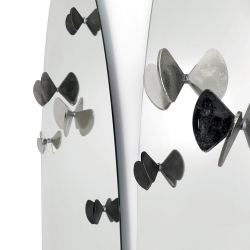 Collection of mirrors designed by Studio Job. 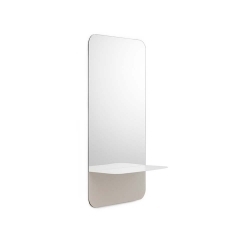 Giotto is a wall mirror designed by Kensaku Oshiro for Mogg. 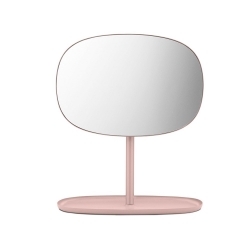 Round mirror with a transparent or coloured PMMA frame, with a unique pleated effect. 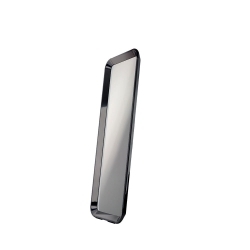 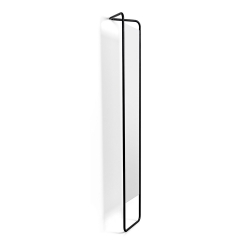 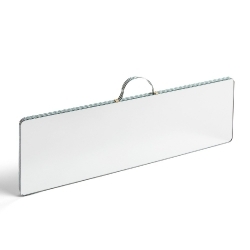 Mirror with a frame made of polycarbonate designed by Philippe Starck. 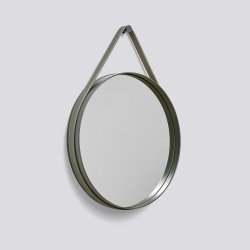 Circular mirror with strap to hang a wall, designed by Jacques Adnet in 1950. 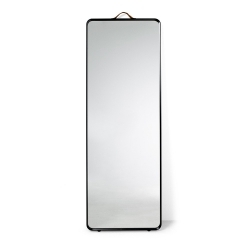 Rectangular mirror Adnet version designed by Jacques Adnet for Hermes in 1950. 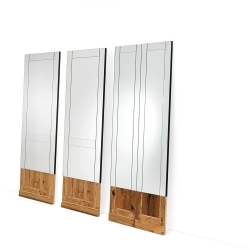 In this category you may find the finest selection of mirrors produced by the best Italian and international brands.